The inspiring story of how Satyajit Sadanandan pursued his passion for football and overcame barriers to stay connected with the sport and is now working towards creating more talented footballers in this country. At a time when his batch mates at IIM Lucknow, were fretting about and losing sleep, trying to get a foothold in one of the dream companies, Satyajit was already in a dream company. He had decided to pursue his dream of a career in football. To someone not aware of Satyajit’s love for football and his gifted understanding of the sport, it might appear like a decision made in haste. To Satyajit and to those aware of how he came to make the decision of pursuing his passion for football, it would seem like a goal that was waiting to happen - so long and inseparable has been his association for the most popular game in he world! Satyajit grew up in a home where his father nurtured a deep passion for the game. As he grew up, Satyajit too developed the crazy appetite for the game. He learnt the art through the ranks, playing football at the junior levels in Baroda and then at the university level when he was at an engineering college in Kerala. It’s not easy to pursue football in India, with its lack of proper infrastructure, and soon Satyajit had to make decisions from choices that were tough. It’s an inspiring story of how Satyajit and his father worked hard to run a club in Baroda and how the young man, with dreams of playing football at the highest levels, battled the unhelpful system, suffered reverses and tough periods in between glorious phases, and yet had the courage to stick with what he was passionate about right through his life - football. Today, Satyajit may be past the age to make a mark in big-time football, but the game runs in his blood and he dreams of making a difference to how it’s played in India. He runs a sports management firm that nurses his dreams of nurturing a large number of soccer talents in the country and give them platforms to hone and build careers out of the game. He wants to see more professionalism in Indian football. Despite the odds stacked against him in terms of the ramshackle nature of the system, infrastructure and support, Satyajit has soldiered on. He has worked with the All India Football Federation and has played a big part in the Indian football league turning professional a few years ago. He toured European countries, bringing home important learning from their league, the game’s organization mechanics, funding and cultural aspects - something that could have been done by a professional like him who understands the subtler and finer nuances of the game. In a country where sports is relegated to the back benches and sportsmen a neglected breed, it is professionals and doers like Satyajit who can make a difference. Despite the lure of a regular corporate career after a management degree from one of India’s premier management schools, Satyajit built a career around his passion, even though he knew that that passion had more stacked against him in terms of facilitating a meaningful career. The very fact that he still did manage to do both - keep his passion and make a successful career out of it - makes him such a lionhearted individual. 6bridges spoke with the passionate footballer and sports management professional about his life, transition, football and plans in his field. 6bridges: How did your journey with football start and how? Satyajit: I started playing football at a very young age. My Father used to play football. It was something in the family. My father used to take me to the ground whenever he used to go to play. A few friends joined up and my father started coaching all of us. We were all in the same school and so we started playing in the school team and started winning. My father’s friends too joined in, his friends etc., and it became a bit bigger. It became a club eventually. Growing up in Gujarat, I started playing for the district and state teams. I played for the state in different age groups. In class X, I played the under-15 nationals, and we got beaten badly. Though it gave me a jolt, it was an expected result that helped me realize that the ecosystem in Gujarat wasn’t sufficient. Since I wanted to pursue playing football as a career, I realized that I had to move out of the state and get to a better level. There was no concept of going abroad and we didn’t have the contacts to do so either. So, we looked at different options, primarily Goa, Kerala and Bengal. I selected Kerala eventually since my dad is from there, the education system was good and we had some friends and family. I was doing fine in studies as well and didn’t want to sacrifice that either. So I joined a sports college for classes XI and XII and also played for the university team. I played for the districts team at the under-19 level in the state championships, and then got through to the Government engineering college, Thrisoor. I also played for the Calicut university team for 2 years. In my second year, the team reached the semifinals in the All-India inter varsity tournament. The club, which was called Providence (in Baroda) grew stronger as the kids grew up playing the game. My friends played there and I joined them on vacations. The club had begun as a part-time hobby and a platform for all of us to play, but eventually became a serious affair by 1998 as we started beating teams that we idolized earlier. It was funded by my father and a few of his friends. As time went on, we wanted to be bigger and play at the national level. We also realized that we would need more funding. I was studying and had little financial pressures but there were a lot of others who were under financial pressure. Footballers in India are generally not well qualified and the strata of society they come from brings hardships, and makes them ask questions early in life whether they can keep playing football or take up a regular job to support the family. We were at the crossroads since many of the players at the clubs would start looking for jobs which meant the end of their careers as footballers. We didn’t want that to happen and started to retain them, in a small way at the club. In hindsight the learning that I have gathered is that we were also not approaching the sponsors in the right way. However at that time, it was like this: we were the champions in Gujarat and didn’t have any sponsors at all. It was a bit frustrating. We thought of starting some business and generate employment. We started off with Providence Inc and we started with a vegetable vending project. At that time I wasn’t there in running day to day activities and was away, studying in engineering. My father and all our friends were actually doing this. They would give the vegetables to these guys at the club to distribute after getting it from the main market. It was neither very profitable nor did it have a big operation. What it did was that it generated a lot of interest amongst people when we got footballers to do this. That’s how it started with the club and one thing led to another. Lots of people started encouraging with distributorship of sports goods etc.. IPCL, which was also the company that laid the base for detergents in India, came forward. It was the company where my father worked. IPCL said they would help us set up a detergent manufacturing unit, give raw materials and one-time support, but needed us to reinvest in the unit so that the funds were not frittered away. We set up a detergent manufacturing unit in the year 2000. I graduated from engineering in May 2001 and had an offer from Wipro, but there was suddenly an IT downturn all their appointments, including mine were put on hold. I returned to Providence in 2001 and handled the detergent manufacturing unit and operations. Later Wipro actually moved ahead with its offer to me but then I thought it better to stick with Providence as my presence could help take it forward then. I asked Wipro and they agreed to hold back the joining period for some time. At Providence we would produce handmade detergent powder and sell it. We didn’t have money for marketing, and retailers would expect credit. They would give back unsold products at the end of the month, and it was neither sustainable nor viable for us to distribute it in the retail. We would make the powder in the morning and do door to door marketing in the marketing in Baroda. We had some good clients and we did some business given the money invested which was not much, except for the efforts put in. Detergents are an intensely competitive business and we were looking for alternate things to do. It’s difficult to make a lot of money out of it. We were looking around and came across a retail chain in Kerala called Margin Tree. Right from the days when I was in college in Kerala, Margin Tree was very successful. We asked them if we can set up a retail store in Baroda. They were interested. We went to Kerala and had some negotiations with them but the deal did not go through on account of transportation issues. Margin Tree was non existent as a brand in Gujarat, and though they would get good discounts because of their volumes, that would be negated due to the transportation costs involved. It wasn’t viable to set up something like that without any extra support. They were also mired in issues by that time and so it didn’t really work out. We, at Providence set up our own store in 2003. I also wanted to grow as an individual from a professional point of view. I had always been an entrepreneur but wanted to know the workings in a more structured environment. So, in 2003, after setting up the store I went to Wipro and my father took VRS from IPCL. We had done a good job of building an organization that was sustaining itself and had generated employment, but it was far from what it should have been. I would read about how the Man Uniteds of the world were listed in the stock exchanges and I had no clue how that worked. Some of those challenges that I faced over there were probably the genesis to my interest in sports management and made me think a lot on what should be done. But I didn’t know how to get there. 6bridges: What happened at Wipro and thereafter? Satyajit: Wipro was a kind of an intermediate step since I had an entrepreneurial streak in my nature right from the start. Wipro is a fantastic organization and the processes and the kind of people I was exposed to, were excellent. I realized I had to move on to achieve my goals, which led me to Frost and Sullivan, the market research firm, as a Business Analyst in chemicals practice as I was a chemical engineer. I did some interesting work for 6 months over there. I had also written the CAT exams and wanted to do an MBA. So, I went over to IIM Lucknow for an MBA, graduating in 2006. I was clear I didn’t want to take up a job. My experiences at Wipro and Frost were good enough to give me the experience I wanted. At IIM, I took up different projects on sports and my teachers were very encouraging. In any project that I took up, I was trying to get an angle to fit sports into it. It’s a fantastic learning environment there at the IIM with encouraging peers and professors and I didn’t want to waste too much after graduation. For the last two terms I was on the on the internet contacting all clubs in world, especially in Europe, asking for internships because I realized that was the level of exposure I needed. I wanted to know how these clubs plan and market themselves, and run their administration. In response they told me that internships were not paid for in Europe. Celtic and a couple of other clubs offered me internships but they were unpaid. I had almost made up my mind to join Celtic at one point of time. However I had also sat for the placements and had a couple of offers. However, I chose football over these offers which was a freakish thing to do in India. The media got a wind of it and they wanted to cover it. It was also the world cup time that gave an added angle to those guys. They wrote a couple of articles about me which was seen by people at the federation. The AIFF president Mr Priya Ranjan DasMunshi and the General Secretary Alberto Colaco called me over to Delhi as soon as I graduated. They told me they were trying to professionalize football in India. They didn’t have a very high budget but asked me if I wanted to be involved with the project. I told them I wanted to build my club and would be glad to help them. They were fine about working a few days with them in a month. That’s how it started but later there was so much to do in AIFF. It was a good learning experience in India as well as abroad. I traveled to Germany and studied the best practices there. They wanted to professionalize the system here and I was responsible for it - changing the national league to I-League and a bunch of FIFA projects in India. It was an interesting learning phase. The workload kept on increasing and suddenly what started off as a 15-day engagement turned into a fulltime one. I was spending more time in Delhi and less in Baroda. I spent two years at AIFF. Meanwhile, Providence wasn’t doing well, and I couldn’t sustain it financially. I couldn’t do too much about it. It’s difficult to generate sponsorships for clubs. You don’t have television coverage either and the sport itself wasn’t getting enough mileage. It was a difficulty journey. Things were getting from bad to worse. We were basically a bunch of football lovers running a business to run football. The retail scene in India was getting very competitive and we were also not retailers. We didn’t run the business from a retail perspective. Generally retailers would pay salaries of 2000-3000 to people at their shops, whereas we paid our footballers basic salaries of Rs 8000-10,000. There was no difference in the kind of work as such, and therefore it was a very unsustainable financial model we ended up with. At the same time we were doing stuff on the ground, winning tournaments, and had a good coaching program. 6bridges: What was the high point with Providence? Satyajit: We took a team of under 15 year olds to play a tournament in Australia in 2007 - the Kanga cup which is their oldest and biggest youth tournament. We won the plate championship at that tournament. It was a proud moment as no Indian club had won before us. It was July and freezing; the boys had never experienced the cold and zero degree temperatures ever. They all got dehydrated as they were not used to having liquids often. They played well and beat boys bigger than them. By the age of 15, Caucasian kids are generally bigger physiologically, so it was a fantastic achievement to beat them. We also won an Asian fellowship from the tournament to continue football at the grassroots in India - the only team from Asia to get it. The fellowship also covered the costs of accommodation and local transport. We hadn’t charged the boys for going there and had got a sponsor to travel to Australia . There were kids who could have paid up but there were also those ones who wouldn’t have been able to afford at all. We didn’t want to make that compromise. It was an unbelievable experience. We started a camp 5/6 months before the tournament and had organized the passports and visas. Some of the kids didn’t have the passports and when asked, they replied that they had never dreamt of going all the way to Australia. It was a big dream for the kids who had never been outside Baroda. We were hosted at the Australia Institute of Sports which is a fantastic organization that has produced Olympic winners. It was a great experience watching the sports culture and environment. 6bridges: What were the things that you did with AIFF? Satyajit: I was still engaged with the AIFF at that time and was one of the organizers of the Nehru Cup, held after a gap of a few years in 2006. India won the tournament that year. Then we also restructured the I League. That is where my experiences in Germany and the interactions with various people including those from the Asian Champions league and FIFA helped a lot and we implemented a club licensing system. It was the biggest change when we revamped the national league. It was launched in end-2007. What happened in the meantime was that father wasn’t keeping well. His health worsened somewhere in 2007, and he was hospitalized for a prolonged duration. He was looking after Providence and since there was no second line looking after the organization, which set us back as far as the business was concerned. He had put in all his VRS savings for the venture and therefore, the setback for the venture was a personal one, as far as finances went. We were moving in and out of hospitals for 6 months. We took a decision in July 2008 actually to close the shop, and finally did that in August. With it most of the business activities of Providence stopped, though we did play teams in the local football league. We were also running coaching programs for the youth. I realized I couldn’t give much time commitment to AIFF because of the help required at home, and so left it at that time. I had had my learning with AIFF and had implemented a few of their projects. I was torn between some of the things that could have been done. Since AIFF is a political organization at the end of the day, decisions do take time and there is a chance that one gets stagnated, especially if one is professionally driven. That was the kind of stage I had reached. I was looking at different opportunities that I could do. So it was a combination of 3-4 things that made me leave AIFF. There was a friend I got in touch with. We had worked together at FIFA on a few projects and shared a similar vision for sports management. So we got together and started New World Consulting in July 2008. We got an angel investor in Bangalore who offered us office space. That’s how I shifted from Baroda to Bangalore. In the meantime in 2006, I was also had been working closely with a friends from Wipro to set up an IT company. Its called Karmic technology, an ERP based firm in New Delhi, and more focused on sports originally but now focused on other verticals as well. I am not operationally involved in it and my role is more from the business development side. It’s been up and down over the past 2 years, but yes, I am doing what I like and happy about it. 6bridges: When you decide to pursue football instead of a regular corporate career, how did your family and friends react? Satyajit: Well most people who know me are aware that I had left home at 14 to pursue football, and for them it wasn’t the first time I was taking such a decision. Of course it was of a different magnitude. There were people who criticized it and there were those who encouraged it, but overall they were okay. My father has been very passionately involved with the game. He wasn’t critical about it and instead, was happy. My mother, to be honest, had some issues. She isn’t very involved with football, and thought that sense would prevail and I would think of a sane career. But I guess I had prepared her for it, so there wasn’t any jolt or surprise about it. 6bridges: What happened to Providence and the people who were playing in it? Satyajit: Well, the team doesn’t exist now. The boys who were playing in the team have got jobs - some of them got into ONGC and some into RBI (Reserve Bank of India) on sports quota. One of the boys is working at the AIFF. It was happening even when the club was operational. Our objective too was to not hold these guys back but to let them go where there were better opportunities.When the club and shop closed down, there weren’t many people with us and most people had got a basic exposure of administrative work and business, and thus could land jobs. 6bridges: You had said in an earlier interview that football had never received sufficient impetus and promotion. Do you wish to work in this area and improve the conditions of football infrastructure in India? Satyajit: Absolutely, that’s something that I am doing with my organization. That’s one of my objectives and challenges for this country. I believe that we have the talent, yet, its the question of having the infrastructure and ecosystem. There is a lack of professional infrastructure everywhere and that’s because people haven’t received exposure. One of the parallels I find is with the engineering and medicine environment in the 1940s. Doctors and engineers went abroad and got trained in the US and UK. Over a period, those who came back established world class practices in engineering and medicine. Similarly, we need to send people abroad to understand practices and have professional exposure. There is some activity on the ground but people aren’t very well versed with professional practices and that’s holding us back, apart from infrastructure. In Mumbai and Bangalore, for example, despite being such big cities, there are not enough grounds for playing. We are not a sporting culture and though things are improving and there more people interested, they just don’t have enough avenues to play. 6bridges: You spoke of the parallel with medicine and engineering. However sport in India is controlled by the government and do you think that is a stumbling block in its development in India? Satyajit: I agree its holding the development back but then sports involves political support and having a complete private sector driven initiative in sports may not change everything drastically. Sports is politically driven the world over. FIFA is an elected body and the Olympic and national systems are all political - it’s the nature of the beast. Its present in a big way in India but it cannot go away. You need better people and you need people who can get sponsors. If you look at cricket, the sport grew after the world cup win in the 1980s and the people who associated with the growth of the sport made BCCI what it is today. They could get in that kind of money for developing the sport. I mean if the chairman of India Cements is a part of the board, he can get in that money if needed, that is the kind of network he has. In other sports, people who are involved in football are not of that level at all. You have people who get elected to the association just so that they can get a ticket to go to FIFA world cup or get to tour abroad. Those are the kind of petty considerations people look forward to. These were the things that drove people into the system in the process. When they came in, they made sure others couldn’t get in. I think the answer is - better type of people, but I really don’t think you can go out of the system. Having a wholly privatized body doesn’t work. 6bridges: Like abroad you have political affiliation, but you also have private money and participation at grassroots levels. You don’t see that in India in other sports. Indian Football has gone downwards despite competing at a higher level in the 1970s and before that. It has been a steady slide after that. What are the reasons you have felt for that downtrend and what are the key challenges you faced while working with AIFF? Satyajit: One of the reasons for India’s downhill run in standards of football after our gold in Asiad and Olympic games performances is partly due to the changes that have happened in other countries. AIFF has simply not kept pace. For instance, we used to regularly beat Japan and Korea in the 1960s and 1970s but thereafter they did a radical improvement of their systems. We have been more inspired by the sports structures of the socialist countries. SAI and NIS at Patiala and Calcutta had been looking at these countries’ structures for a long time and they had set up their system based on the practices in Eastern Europe. Quite frankly, those systems were outdated. By the late 1970s and early 1980s modern sports started evolving with the latest coaching techniques, particularly in the west. Our exposure was with the outdated European system Our exposure to the modern techniques had reduced, which meant that we were still continuing with the systems and coaching styles of the 1960s. Amongst our coaches, there were only few who could understand the difference of coaching at different age groups. For instance, coaching a six year old is different from others. I am a qualified FIFA instructor for grassroots development, and I can tell you that a 6 year old goes flat out when you ask him to do a routine. He will always sprint every time you ask him to run. He is selfish and wants to kick the ball each time he plays. As an instructor, you want to give each kid a separate ball, make sure they have fun and learn. By the time he is ten, he is more aware and also more peer driven; then you need to slowly start using team based training techniques, monitor his training, practices, body temperature and progress. What I have experienced here in terms of training techniques is that as a 6 year old, you are made to run 1 round while as a 10 year old, you are told to take 2 rounds. There are no other significant differences in training that are being used here. There is a culture of doing target practice on empty nets. In matches, you never get an empty goal or net. So, a lot of these coaching techniques also did not keep pace with the times. Lots of things have changed in the last few years though, especially ever since Bob Houghton came in. AIFF has also done a reasonably good job, so have some of the state associations. There are some pockets of excellence also, but there is still a long way to go. 6bridges: Tell us about your sports management company now and its business model. Satyajit: We specialize in 3 areas - strategy, finance and marketing. In general strategy consulting, we work with clubs and football associations across the world on how things can be improved - both from advisory as well as implementation perspectives. In finance we work mainly in Europe where we give M &A advisory to clubs. We have a good network in the Middle East and Central Asia, where we work connect them to investors. In marketing, we work with clubs globally and in marketing where we promote clubs, connect them with sponsors and help them in brand building. We work with corporate firms who want to promote their brands through the platform of football and sports. There are other projects in strategy domains, market research and market intelligence, advisory on how to initiate activities in India and so on. As individual consultants (and not as a company), we also work closely with FIFA and we are involved in a project which aims to professionalize national associations globally. We have consultants who operate from different geographical parts but are concentrated in South Asia. My partner, who is from Pakistan and grew up in the Middle East, is based out of Colombo. So we have an office there as well. We work with collaborators across the world. It’s not a big team we have but depending on where the projects are based, we work with them. For club projects we work with the locals on the ground. These are not strategy consulting projects; they are more of implementation and on-ground activation etc. The two of us founded it and we have more people involved now. We have people involved from Eastern Europe. We look at what people need and want and then we look at how we can get them those inputs. For example a Goa club wanted inputs on grassroots development, and we connected them globally. We work on partnerships between clubs. Strengthening the grassroots is a more sustainable activity that helps the system and the local clubs. Thats where we are focusing upon. Like connecting with those clubs in Europe who have a more long term focus and who are looking for commercial prospects also - one that helps commercial prospects of our clubs too. It also helps in the long run as well as keeps the cash flow. Carrying on with some activity on the ground develops football and improves our standards. Our clubs get an exposure and it becomes economical for the European clubs to have us represent them here and connect them to the Indian clubs here. So we are trying to go about connecting them in a manner that also helps the ecosystem here. When I played I went to Kerala because I didn’t have an option in Europe . Now I have been exposed to Europe and it’s my dream to get some kids from here to there. The focus has been upon football though we have tried and connected people with other sports too. 6bridges: Entrepreneurs find it tough going in India, especially marketing new ideas. Sports management is a relatively new idea. What is your experience? 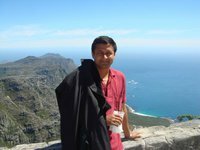 Satyajit: I am a bit different from the usual entrepreneurial person and since I have been in the field for long I have gone through the process and have been exposed to it earlier. It is difficult but there is still a long way to go. There are positive things all happening on ground and people are also more aware. 6bridges: What should professionals look to do to have a more balanced lifestyle? How is the fitness culture different abroad? Satyajit: What I have observed is that this generation is more fitness conscious than the previous generations were. There are people who are actively involved in keeping themselves fit, despite their busy schedule. Then there are people who ask me why India does not play in the world cup. It’s my pet grudge against people who come back from the office and sit in front of their TV. How then do you expect your kids to go out and play? In Germany and other places, parents and grandparents are out cheering and playing with their kids on weekends - they sometimes turn out to be more passionate than the kids and you have to hold them back! In India, though things are changing and you do have people coming up and asking how they should go about giving their kids better opportunities at all round development, the problem is that the common idea of fun for an average person is still about taking the kids to the shopping mall on the weekend. 6bridges: So, through your venture are you looking to work in that area and develop conditions to foster development of sports activities at the basic levels? Satyajit: That’s one of our key focus areas, and it’s the area of infrastructure development and improving the ecosystem we are looking at. We are looking at improving the ecosystem here. In US, Europe and Asia, there are corporate tournaments that are taking place; and even these places are such where people are working in high pressure situations and are sometimes unable to find time to do various things. They also play 5-a-side soccer etc. There has been the first revolution in India - that is of going to the gym. There is expected to be the next revolution where people get bored of going to the gym and will want to go out and play. 6bridges: Should one pursue a passion part-time or full time. Did it ever occur to you to pursue it part time? What are the decision variables that help determine such a decision? Satyajit: In my case, since my level of experience was different, the way I looked at it was different too. Like when I was at Wipro and Frost & Sullivan, I still had Providence at the top of my mind. I was keeping track of the developments from far, but then I could experience that feeling of relating to your passion part-time. Most people don’t have that luxury before taking a decision on this score. Its also sector specific. I know friends who are in their corporate careers and also pursue online businesses, which is possible. However, there are some things which aren’t possible part time. I think pursuing passion full time is the best option and that’s because I don’t believe in doing things half heartedly. At the same time, it can’t be generalized. 6bridges: Do you think a professional degree helps a person while pursuing a full time career in one’s passion. Do you think a management degree helped in your case? Satyajit: Management degree has certainly helped me. It’s the knowledge and the exposure I got that changed me. It’s not about the subjects that I studied but in terms of improving and changing for the better. Also the network has helped. Besides, in India degrees help to get a good share into mind-space, unlike the west where ideas count a lot. In India degrees help to open doors. It may not matter where you are coming from or your ideas, but it’s the credentials you have that count, which is the situation unfortunately. So, for me it was indeed helpful. 6bridges: And what was your backup plan, in case you failed here? Satyajit: Well, I had had this education and football was my backup plan. I am not very materialistic and I knew I will get a job if I have to. So, a professional degree also helped me in my backup option, which was to be associated with football or sports, and thus gave me the freedom to take the risk and explore my passion better. 6bridges: Any particular Country’s sports management infrastructure and ecosystem that has impressed you. Satyajit: Germany, for sure. They have a good grassroots development program, their overall strategic vision and they way they have developed the professional game in the country is outstanding. I will give you a comparison between England and Germany, for instance. In England, you can own a club. English football is in a mess right now because of the money that has come in. Players’ salaries are very high. Thus it’s become very difficult for the lesser clubs to compete for the Premier League, which is contested by the top 4-5 clubs because they can afford to buy the players. Germany on the other hand, has a system where you cannot have an ownership of more than 50% in a club. 1/3rd of the club has to be owned by the local government combined with the local association, and a third by the general shareholders. So, there is a lot of thought given to it. They have sacrificed short term gains for long term results. Throughout this decade German clubs haven’t been winning tournaments in Europe , simply because they haven’t been able to afford too many good players. But their player development system is so good that their players have consistently performed well at the youth level. They have invested a lot on developing the youth and the system has thrown up these benefits they reap today. If you look at the manifesto of the Japan football association, one of their goals that they have laid down is to win the world cup in 2050. Japan has been hugely impressed with the German system and they have been having many exchange programs and have been studying the Bundesliga and the youth development structures etc. Germans are far ahead in terms of planning and efficiency. They have planned the kind of food their team will have in 2018 and the other things associated with it. They have been facing various challenges as a society. Racial integration has been one. They have responded very well to these challenges through sports and the world cup was a classic example of racial integration. 6bridges: Is your firm targeting professional players and their marketing to clubs abroad? Satyajit: No, our firm is not looking at that domain. We are primarily not a player management company. We are primarily looking at players at the youth level etc and developing the sport at that level. We try to get opportunities for the youth. One of the biggest problems is money and the difference in standards, and we are trying to get around that challenge. But no, we are not in the senior player transfer domain. 6bridges: What are the big dreams going forward? Satyajit: I have some professional aims but my biggest personal dream is to cheer for India at a world cup and I hope it happens during my lifetime. And also, cheer for the Indian players and clubs whenever they play outside. I am also working towards the development of the game at the grassroots level, and I would be happy to see some kid trained from this kind of a system, not necessarily by me, emerges to represent India and do well. 6bridges: What has given you the biggest satisfaction? Satyajit: When we took the kids to Australia, it was a satisfying moment since they had never been at such a stage. Things like these give me a lot of satisfaction and happiness. 6bridges: Thanks for your views Satyajit. You have been an inspiration for others by successfully following your passion for football. Also, it’s good to see committed and highly talented people like you working for the betterment of Indian football. Indian sports needs more people like you. Satyajit: Thanks to the 6bridges team. It has been a pleasure to connect with you all, and I am happy that you have taken an interest in my activities. Thanks! No messages yet! Be the first one to post a message here.